A poorly insulated crawl space can cause cold floors and annoying drafts. Which is why it should always be addressed with foam insulation. 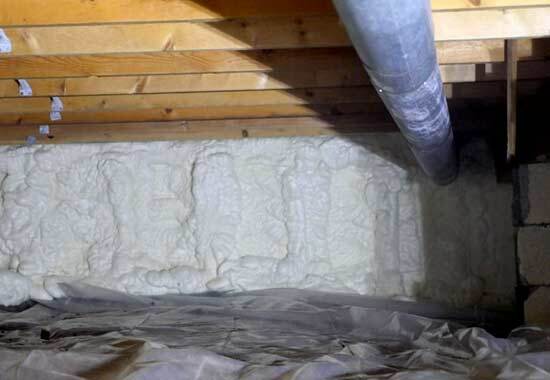 When you select foam insulation for your crawl space, the walls are foamed to move the thermal boundary down a concrete or block wall to stop the hot or cold temperature that transfers through the concrete or block. A vapor barrier is laid on the ground and sealed into the foam. With a foamed crawl space, it becomes a conditioned space to the home again, closing off all outside air. Make your home comfortable again by calling 888-936-3626 for a free estimate today. did their thing quickly, and got out in less than 3 hours. Super impressed.